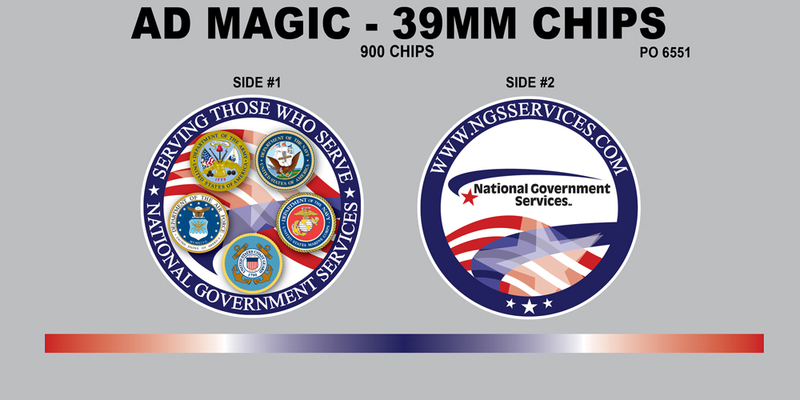 We are asked to design many custom military poker chips and it is a part of the job that we all take great pride in. We provide the artwork for our military clients at no charge as we want to show our appreciation for what they do to protect us on a daily basis. 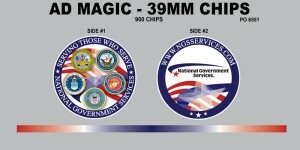 Check out some of these poker chip designs – they literally run the gamut from military standard to military wild. Designs are generally submitted by the units either in sketch form or as final art ad we make the subtle adjustments needed – or create the art from scratch to make the ideas work on a poker chip. 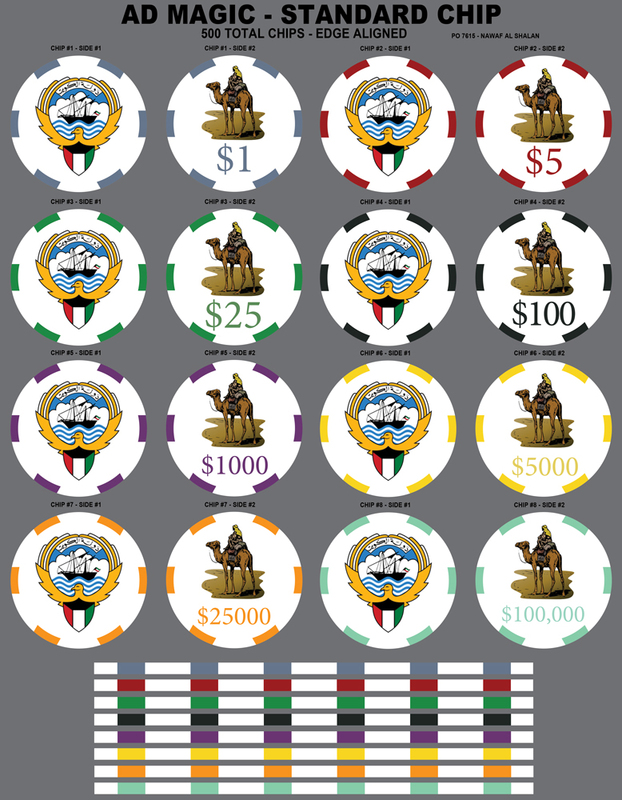 With just about 1.5 inches to work with – designing poker chips requires a lot of forethought and testing. 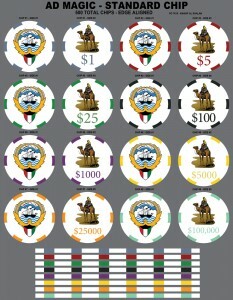 These poker chips are sublimated right onto a white ceramic surface and weight 10 grams. Great for poker games and for use as challenge coins – the popularity and cost effectiveness of these chips makes them versatile for many uses. Also custom military playing cards are also available.